Muir Glen Tomato Sauce only $0.22 + Paste only $0.17 w/ Coupon! 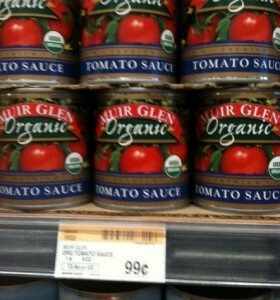 Use this $0.75/1 any Muir Glen product coupon and you can score their tomato sauce and other products at great prices! You can find these products for around the same price at Target, Walmart and Whole Foods. = as low as $0.22 each! And you can get super cheap tomato paste at Walmart! Thanks, My Frugal Adventures, for deal and photo!